There's something about fruit flavours that is just so appealing to me. It brings me back to my childhood, when I always carried around a lip smacker in my pocket. Nowadays I prefer something with a pretty punch of colour, and of course, much healthier ingredients. 100% Pure's Fruit Pigmented Lip Glazes and Pomegranate Oil Anti-Aging Lipsticks deliver on both fronts. These highly pigmented lipsticks smell like delicious fruit, and pack a good punch of colour, which comes exclusively from fruit pigments. No artificial dyes or synthetic fragrances. They recently released three new Lip Glazes and four new Lipsticks. So of course I had to get my hands on these! To see swatches and learn more, just keep on reading. 100% Pure Fruit Pigmented Pomegranate Oil Anti-Aging Lipsticks are formulated with pomegranate oil, shea butter, and fruit pigments that keep lips soft and moisturized. They are packed with antioxidants and vitamins. They contain no synthetic chemicals, synthetic dyes, chemical preservatives or any other toxins. 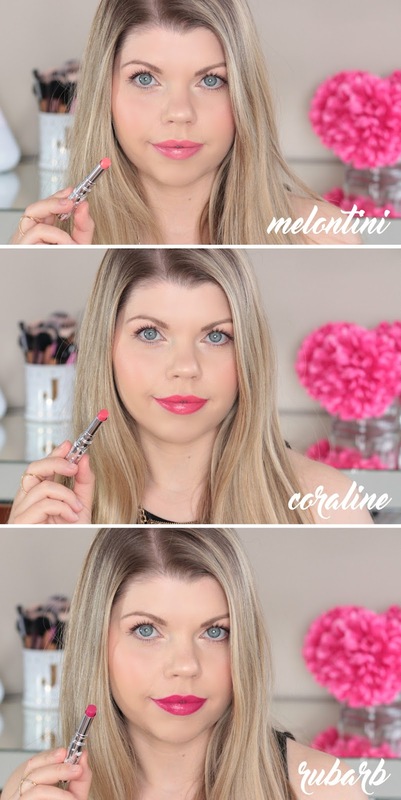 These lipsticks have great staying powder, and don't travel outside of the lip line. Which is your favourite? 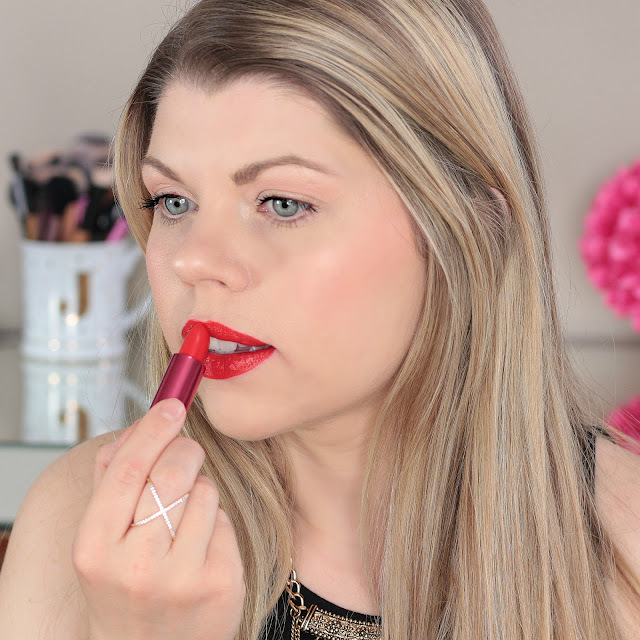 100% Pure Fruit Pigmented Lip Glazes are similar to the lipsticks, in that they pack a ton of colour, but the formula has a little less slip to it. The base is avocado and cocoa butters, so they are still moisturizing but don't slide around on the lips as much. This is my favourite formula, and once again it's 100% natural. 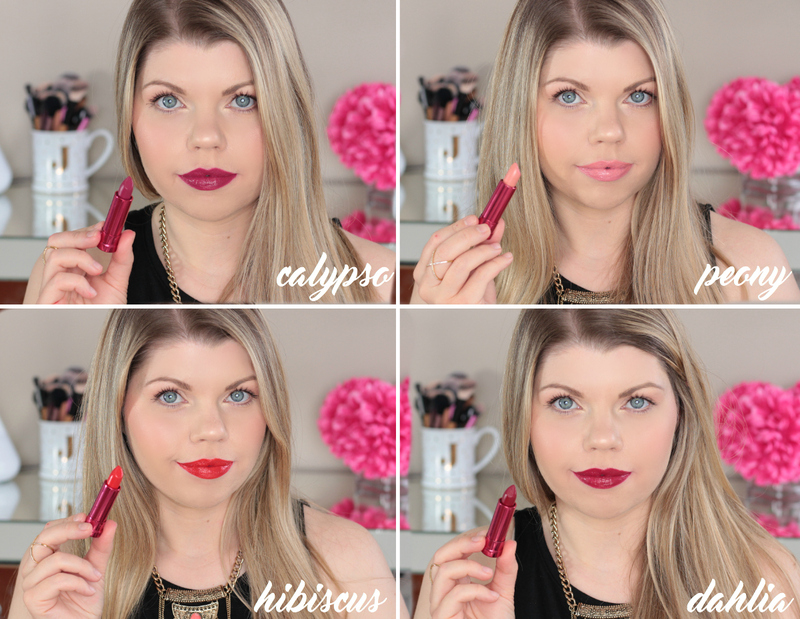 The colour is very long lasting, and the packaging of these lip glazes is to die for! So stunning. What colour is your favourite?